White Sage (Salvia Apiana) is a sacred, cleansing, and purifying herb. When burned, the smoke removes residual negative energies from yourself, crystals, and personal space. As this unwanted energy dissipates, dissolving into the light, you’ll feel the uplifting effervescence of your freshly purified space while enjoying the sweet, spiritually divine aroma of this sacred herb. 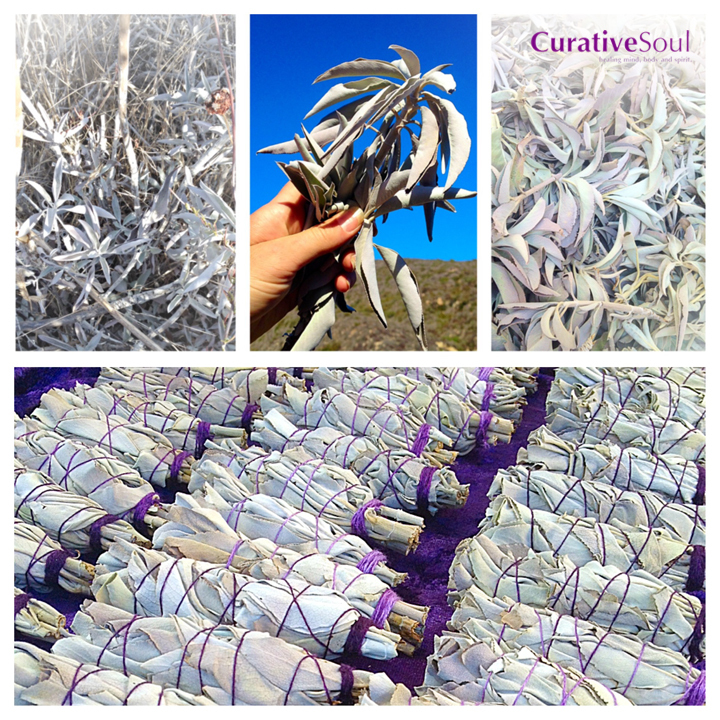 Handpicked/hand-wrapped Organic White Sage Smudgesticks, made with lots of love in Southern California.